Welcome to Ottawa! 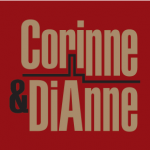 We are Your Ottawa Real Estate Team, the dynamic real estate duo of Corinne Campbell and DiAnne Masson-Yensen. We absolutely love what we do! It’s that simple. We are based in our Nation’s Capital city and proudly serve Ottawa and surrounding areas. We aren’t just about buying and selling homes. We are about providing our clients with an unparalleled real estate experience that they will want to share with their family, friends, neighbours and colleagues. In our view, real estate is much more than room dimensions, bricks and mortar. It's about our client’s life and their dreams. It's about a feeling when one walks through the front door of a home and one can immediately begin envisioning their life simply unfolding between its four walls. We strive to work with each of our clients individually, taking time to understand their unique needs, desires and lifestyle. Our partnership is based on a shared philosophy of a client centered approach to real estate, mutual respect, integrity and trust. It is not the sales numbers, ‘the transaction’ or accolades that drive us. It is all about the relationships that we develop with our clients and the opportunity to assist them achieve their real estate goals. 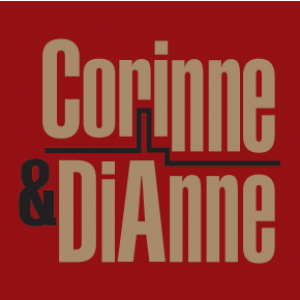 Prior to deciding to work in organized real estate, Corinne obtained a degree in Communications from the University of Ottawa and also has a college diploma in Social Sciences. She spent several years working for the federal government subsequent to moving to a private sector real estate marketing company managing new home sales. DiAnne, who also completed her Business degree at the University of Ottawa, had a varied career with the military and international development. Having raised our own families in Ottawa, we can provide you with valuable information about neighbourhoods, housing, schools, sports, recreation, restaurants and so much more. Moving from the Nation's Capital? We can put you in contact with like minded professionals in another city, province or even across the globe. We are passionate about real estate and take pride in providing you with the best real estate experience possible.When you are looking for professionals to assist you in negotiating the complexities of buying or selling a home, you can put your trust in us. Our award winning combo of experience, dedication and open communication will ensure a successful outcome. And, we’ll even infuse a bit of humour into the mix...on the house, of course!